I went on a trip to Seattle! That isn’t that unusual for me. I go there sometimes. This time, going meant crossing two things off of my bucket list. 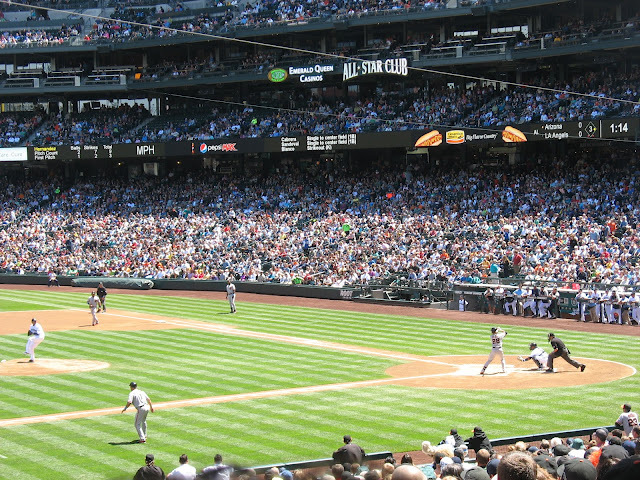 This blog is about the first thing: I went to a baseball game with my dad. This may not sound like a huge thing, well, it may not unless you know the whole story. My dad is a baseball fanatic. To be slightly more specific, he’s a San Francisco Giants fanatic. My daddy taught me to play baseball. He coached little league for me, he played a never ending game of double or nothing involving pop flies with me, and took me to my very first professional baseball game. Daddy and me in SF. 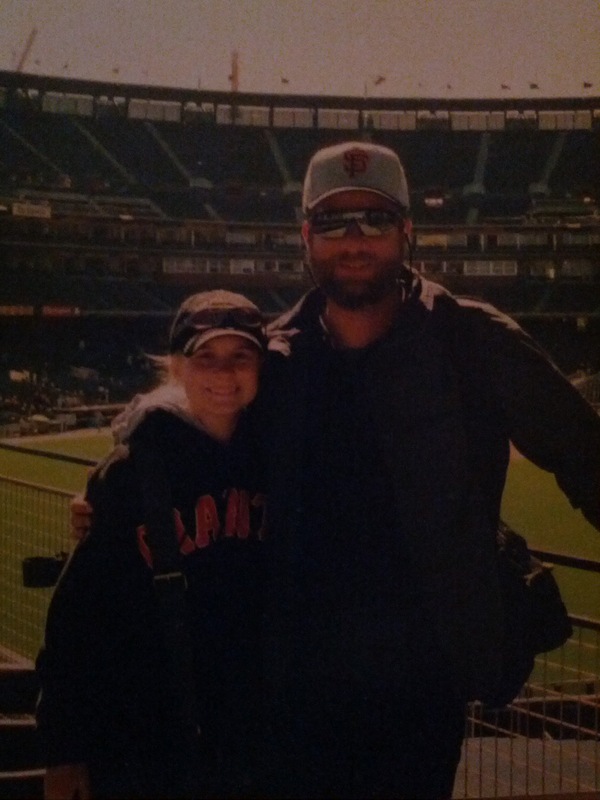 We went to see the Giants play in the city, we went early and hung out around the dugout, and my dad talked me out of being shy and into getting signatures on my mitt. 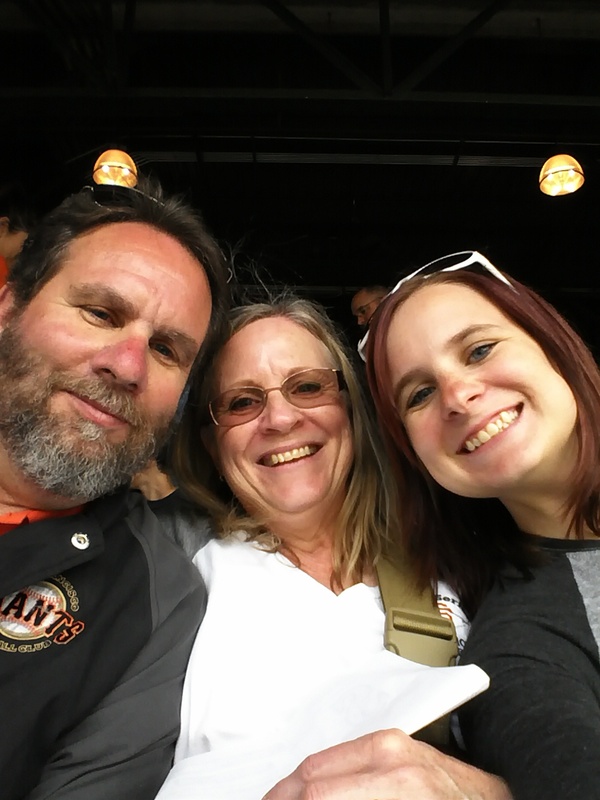 In short, my dad taught me to love baseball, to love the Giants, and to be almost as happy about a Dodger loss as about a Giants win. 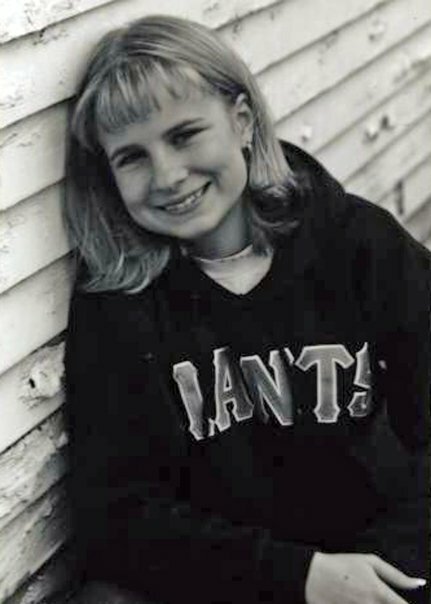 My senior picture… in my Giants sweatshirt. 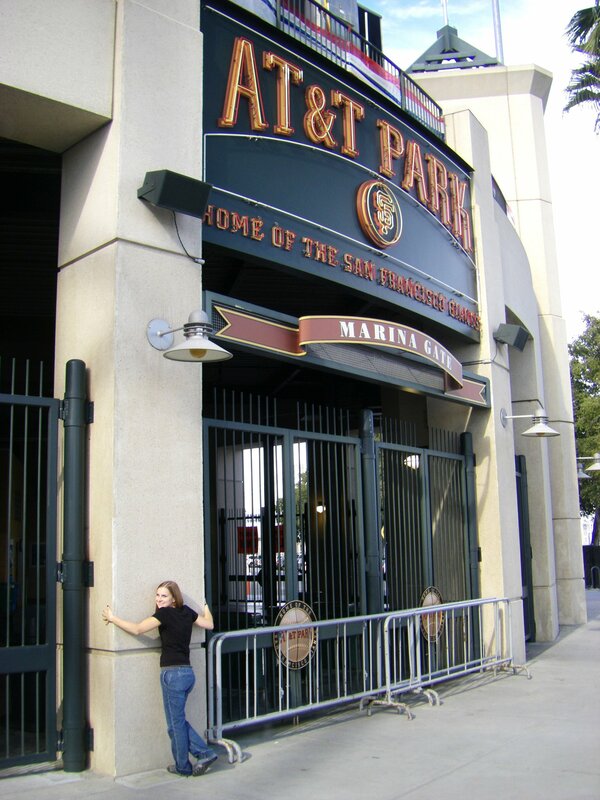 Hugging the stadium after the world series win! Then, my dad had a heart attack. It was out of the blue. I’m sure most people say that, but this really felt it. He was in good shape, he wasn’t overweight, and he ate a healthy diet. For more on all of that, you can visit the post I wrote about it. While he was in the hospital I did two things to keep myself sane, I wore his watch everywhere, and I added to my bucket list going to another Giants game with my dad. I wasn’t entirely sure it would happen, but I had to believe it. 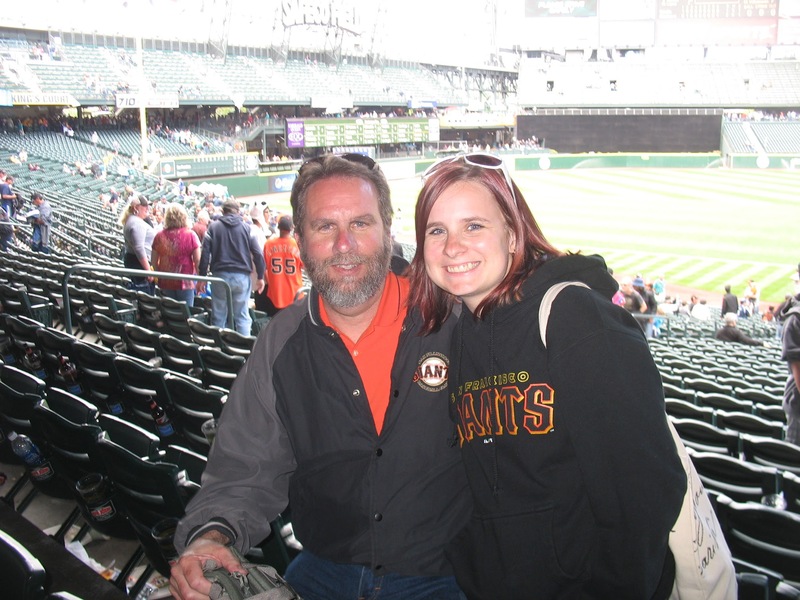 And on Sunday the 17th of June this year (2012), I went to a Giants game with my dad. Sure, it was in Seattle, but the Giants were playing, and that is what matters! I wish I could say we won, but the Ms got us. However, it was a brilliant game. It came down to the last inning, the last few seconds. It was crazy, good. It would have been better if the Giants had won or the Dodgers had lost (they totally won that day too, the jerks), but I was at a giants game with my daddy, and I’m so glad I get to cross that off my bucket list. Before the game… happier campers.